For healthy teeth & gums with anti-bacterial action. 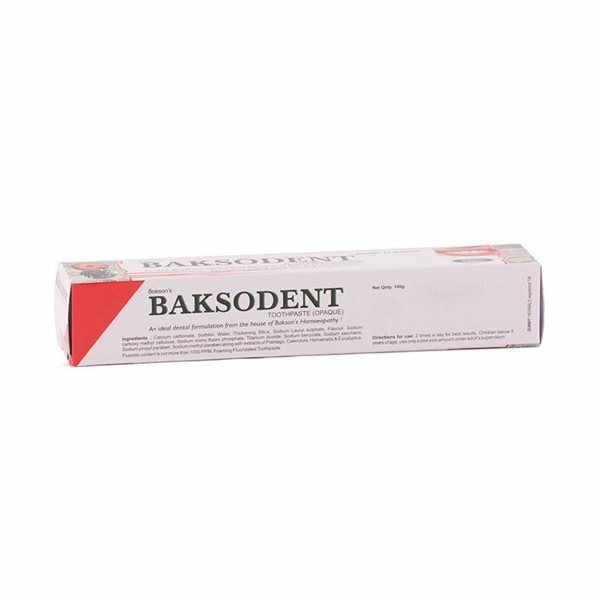 Dr. Bakshi's Baksodent is especially formulated to reduce swelling of gums & stop gum bleeding. 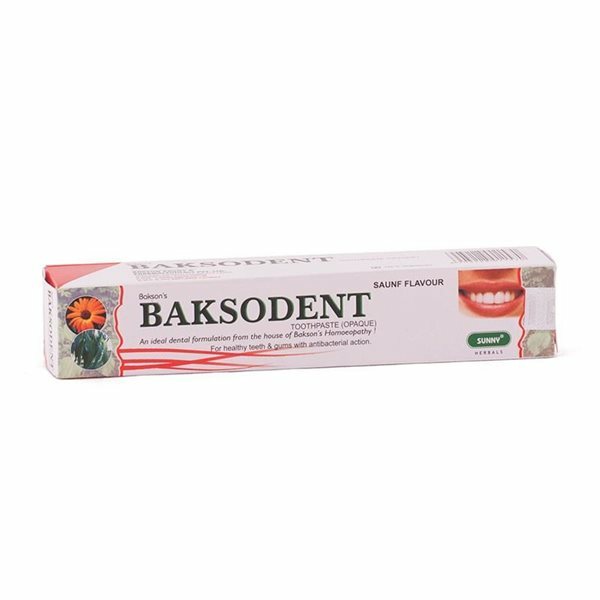 Its antibacterial action fights germs and bacteria responsible for dental caries, thereby preventing toothache, bad breath and plaque formation. Saunf Flavour helps to keep breath ultra-fresh for up to 12 hours. Recommended Use: 2 times a day for best results. Children below 6 years of age, use only a pea size amount under adult's supervision.